Staying together for the children? Staying together for the kids isn’t enough. In relationship counseling we run into a fair number of couples that have been together a long time, often 20 years or so, and now they find that they just can’t hold it together anymore. The most common cause of these issues is that they have spent the last twenty years “staying together for the kids” instead of staying together because they want to be together. Most people who have worked with children will tell you that your children are not being fooled by this behavior. Kids know when mom and dad are distant and don’t like each other even when there is no outright fighting going on. Growing up in a home where the parent’s wish they were not together is not much fun. If you are in that situation consider letting go of your resentments and working on the relationship. If you have to live there you might as well find a way to make the relationship better. Relationships can self-destruct without children. It is not unusual for relationships to go through a period of severe distress just about the time the oldest child is graduating from high school. Couples look at each other and ask “why did we stay together all these years?” If it was for the kids now what? Do you two still want to be together? Relationships like cars or houses need maintenance. If you have just used your relationship to focus on the kids and have not kept the connection with your partner healthy then after the kids are gone there is not much left. Some couples split up and try to start their lives over. Most of the time they end up in new relationships, now wanting a relationship for themselves instead of for the kids. Often both people get new partners. Who wants to be alone once the kids are gone? Guess what? This complicates things. You are not a twenty-something anymore. Your new partner comes with an ex and some kids. So you, your ex, your new partner, your ex’s new partner, and the kids and all their partners keep crossing paths. You think you put your needs on hold for the kids before? Looks like it has just gotten worse. Do you get to enjoy life while you are still alive? You can distract yourself from being where you are. Lots of people stay in bad relationships and suffer. They think that the suffering they will go through by staying is less than what they and the kids would go through if they end this relationship. Plenty of people go through these young-children-years by trying to stay busy and distract themselves from a relationship that is not meeting their needs. Dads tend to work a lot. The old idea was that dad worked and paid the bills so that the rest of the family could have a good childhood. The result of this model was that dad got robbed of being a part of the family he was paying for and the rest of the family gets to resent dad for never being there. Lots of expensive toys do not make up for a lack of loving relationships. Moms also get caught up in this. Mom usually has two or more choices of ways to stay busy and avoid looking at what is lacking in her life. Mom can become a fanatical “soccer mom.” Spend all day and all night not just taking kids to places but also volunteering to help the activity take place. Mom can get so caught up in the school and the soccer league and the clubs that she does not have time to talk with her own kids let alone dad. Or mom can insist the kids need more things and expensive activates and she can go to work and stay busy that way. What will mom do if the kids escape? Some chase the grandkids down and try to stay busy and others drop into a deep depression because their life has no meaning without someone else to make happy. Staying and suffering and going and suffering should not be your only choices. Smart couples develop other choices. If you are having difficulties you work on the issues. Couples counseling can help, so can making sure that you allocate some time and resources to maintain your relationship. Couples that enjoy being together and doing things together survive the kid’s exodus. Think this over. You have a lot of time invested in your family. 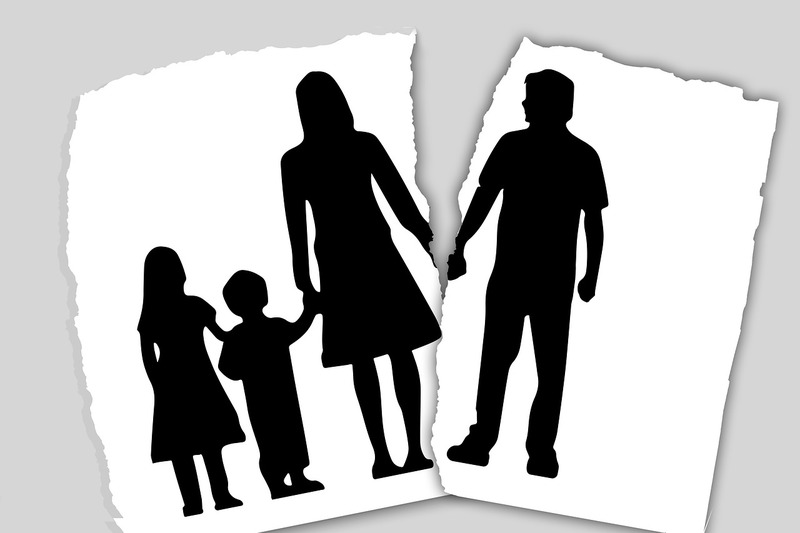 Are you waiting to do your time so you can escape after the kids leave or are you willing to work on this relationship so that the two of you will have reasons to be a couple after the kids have moved out and on and started their own families? There is life after children. You can have a good relationship after your kids start their own lives if you two can get through the process without hurting each other so much there are just no good feelings left in the relationship account. If your relationship feels like doing time, consider getting help from a professional relationship counselor. This entry was posted in Family Problems and tagged bad marriage, couples counseling, relationship counseling, relationship self-destructs, staying together for kids, unhappy relationship by David Joel Miller. Bookmark the permalink.